What Happens If A Will Beneficiary Passes Away? New York estate law has adopted and implemented an anti-lapse statute. 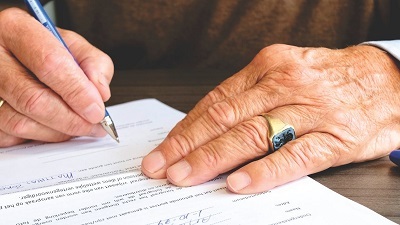 This law is designed for situation where the beneficiary under the terms of a Will dies before the person who executed the Will, known as the testator. The anti-lapse statute was enacted to balance the equities of the wishes of the testator versus the fairness to the beneficiaries under the will. What Happens If A Beneficiary Dies Before The Estate Is Settled? A common scenario is as follows: Testator executes as Will where they leave a specific bequest (i.e. real property, shares of stock) or a general bequest (i.e. $10,000.00 cash) to a beneficiary. Let’s call the beneficiary Joe. The question arises as to what becomes of that bequest if Joe dies before the beneficiary. If Joe is either a child or sibling of the Testator, then Joe’s bequest would pass directly to his children. Please note the anti-lapse statute would only apply to Testator’s children or siblings. If a different relation of beneficiary or a family friend predeceased the Testator, then, that share would revert to the residuary estate under the terms of the will so as to benefit any surviving residuary beneficiaries of the decedent. If you require the services of an experienced Long Island Wills, Trusts, and Estates attorney, please contact the Law Offices of Michael W. Alpert at (516) 280-7288 or e-mail: malpert@alpertlegal.com.